With summer firmly on it’s way out and Autumn settling in, the chilly nights demand some great comfort food. 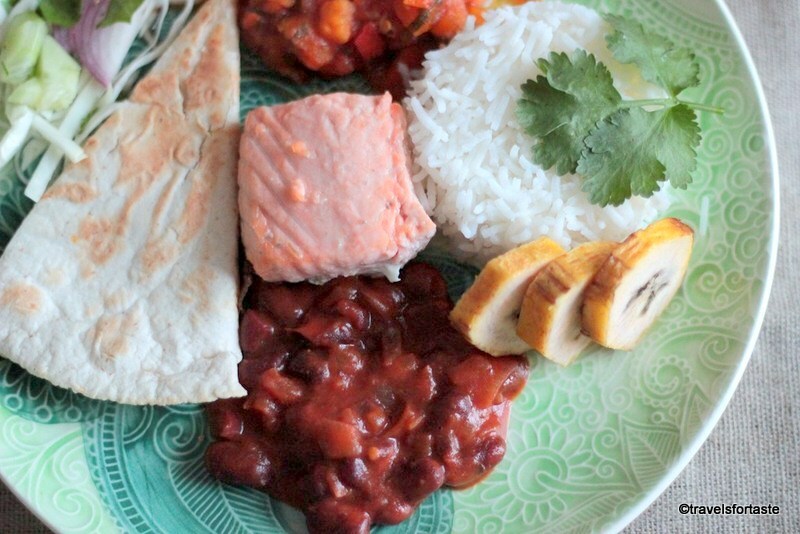 I wanted to try something different so I choose a popular Costa Rican dish – Casado. Why? Well, it’s the ideal comfort food, easy to put together and tastes amazing! 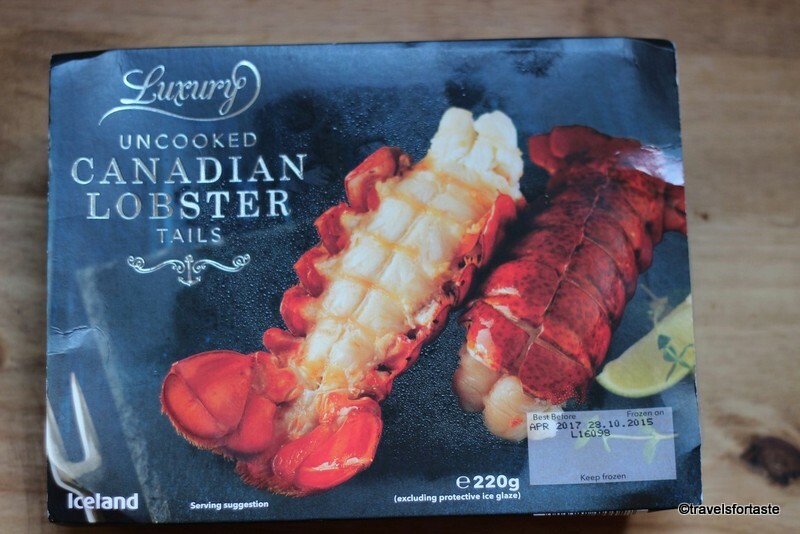 Best part is it’s very easy on the pocket and if you plate it well, it looks like a posh meal – no one would guess what went into making it! 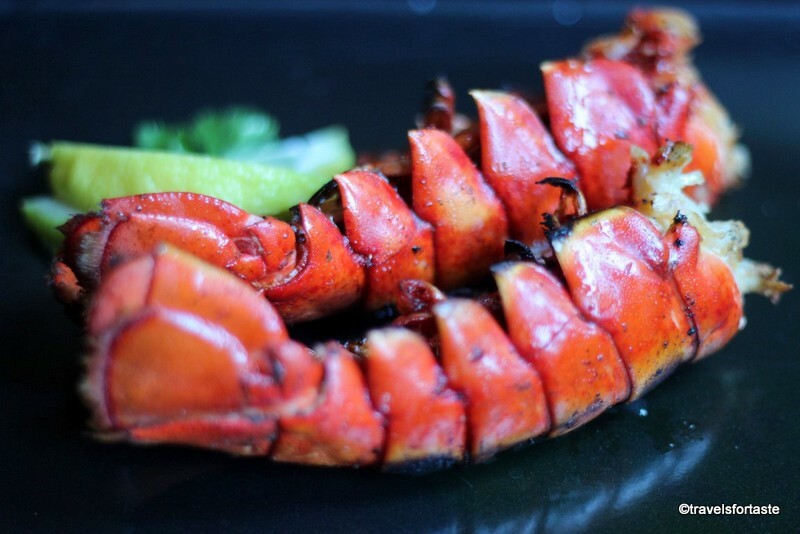 Casado literally means a ‘married man’ and it is said that the name probably originates from how the local men expected food to be served when they were eating outside so that it reminded them of familiar tastes of a home cooked meal. 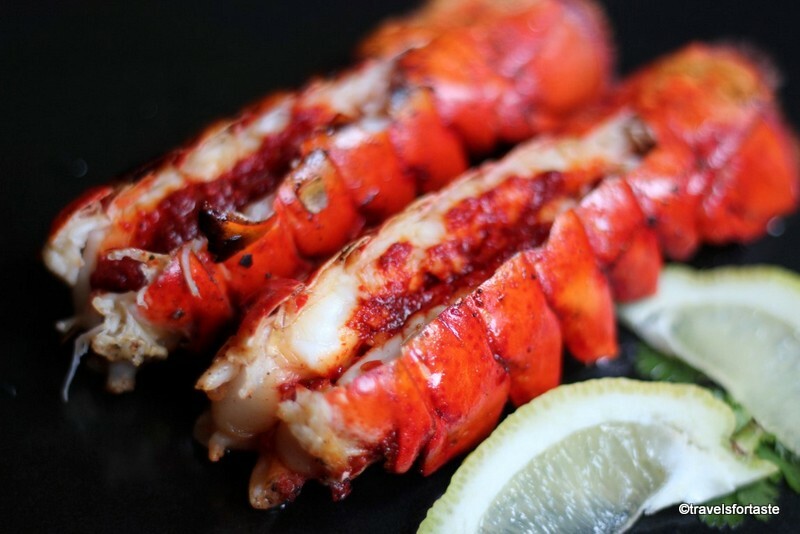 An authentic Casado which is served at ‘sodas’ or local cafes is accompanied by what is known as a Lizano sauce. The brand name Lizano is now generic and retails in N. America. 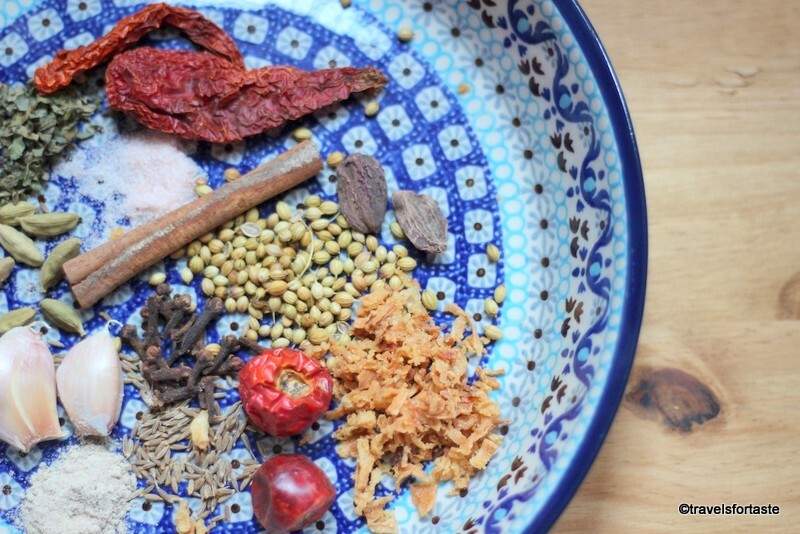 Since this sauce is yet to hit UK shores ( believe me I did a fair bit of looking around in shops that sell Mexican ingredients, Asian, Carribean and most of my local supermarkets) I finally decided to make my own ,which was a great decision – why ? 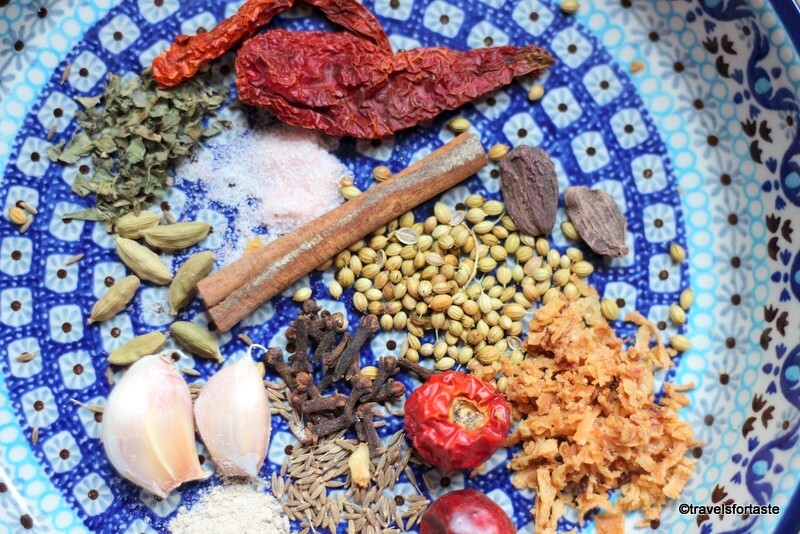 Well scope to experiment and innovate for one, coupled with freedom to incorporate easy to procure, local ingredients – resulting in a deliciously moorish creation! A traditional root vegetables dish from Costa Rico called Picadillo is a popular side dish with rice and tortillas. You can safely say that the gravy sauce is a marriage of sorts between the Lizano sauce and the Picadillo. I have done a fair amount of customisation and the most interesting part of cooking Casado was creating the gravy sauce, combining it with root vegetables and serving it as a wholesome gravy side dish. Let’s get started with the sauce aka gravy as this will take the most time to cook of all the other sides. Recipe is good for 2 with generous helpings. In a large saucepan, heat oil and add the chopped onions, add the garlic puree and cumin powder and stir well. 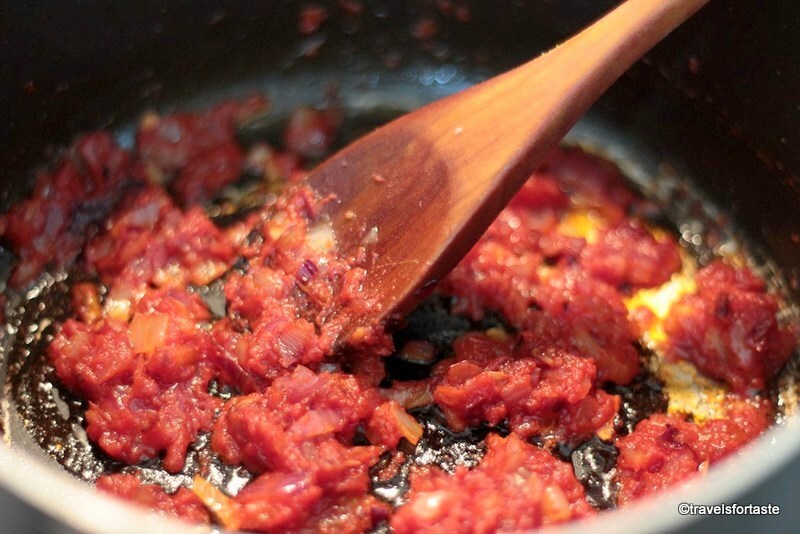 When the onion starts to reduce add the bay leaves, the chopped tomato and chopped sweet peppers, stir the the tomato & peppers around vigorously bit to get them to release their juices and reduce the flame to a minimum. Throw in the finely chopped carrot cubes, sweet potato, grated celeriac, tomato puree and add enough water to cover this mixture. Cook with lid on till the sweet potato and carrots begin to soften, then it’s time to toss in the cauliflower florets, season with the dry red chilli,tamarind,cracked black pepper, salt and sugar and give it a good stir. 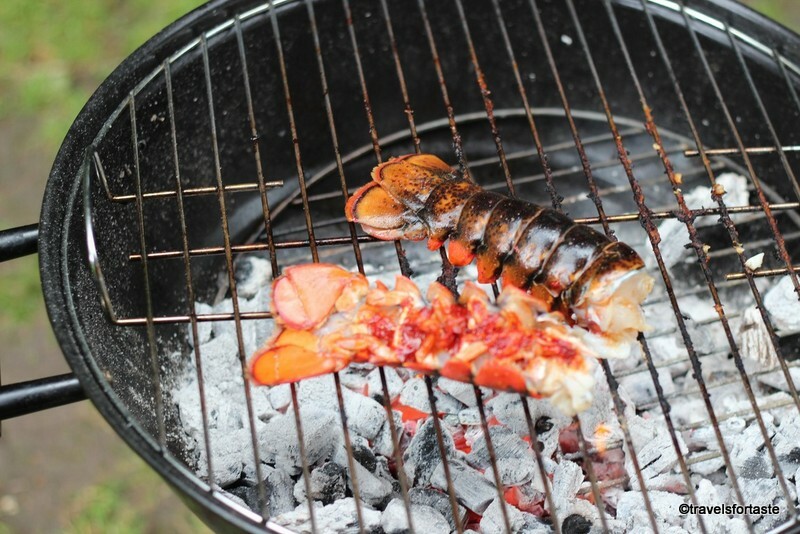 Let this cook on a low flame with lid for about 25 minutes. 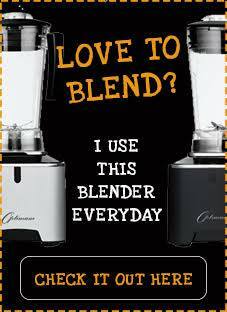 Keep opening the lid, stirring and adjusting the water if it becomes to run dry, we need a gravy like consistency. When it done, add some finely chopped coriander in the tamarind should give it a bit of tangy twist, while the dried Kashmiri chilli gives it colour and mild heat, the sweet pepper and tomato puree work their magic together and the gravy is delicious and wholesome what with so many veggies hidden inside! 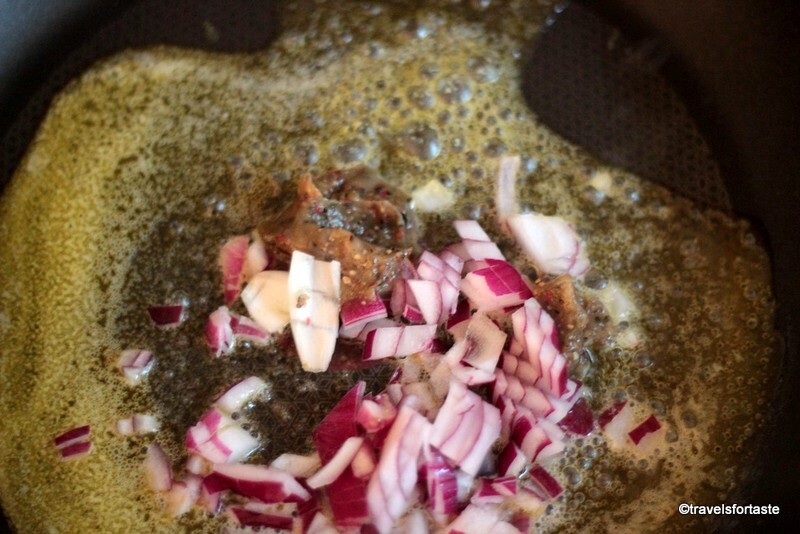 In a large saucepan, heat oil and sauté the chopped onions, add the garlic puree and stir well. 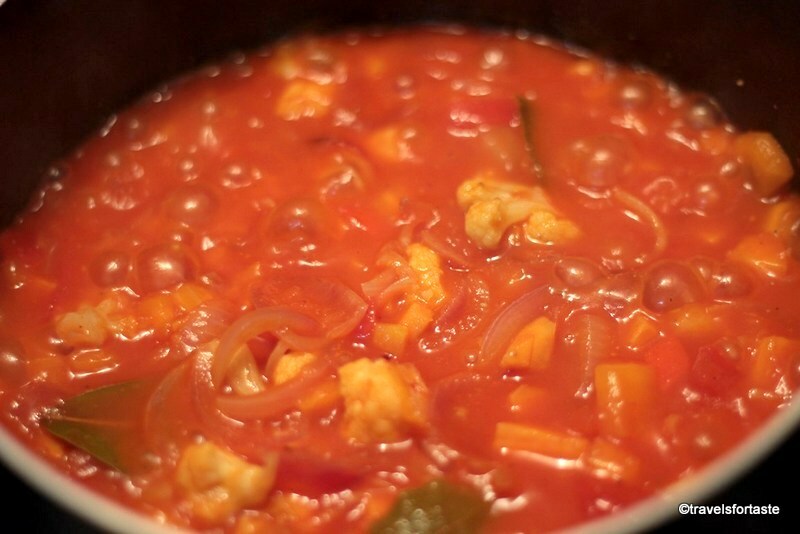 After the onion has sautéed, add the tomato puree and stir then add the beans and mix well. Add some water to the mixture and reduce the flame to a minimum, cook with a lid on but check often so that it does not burn or run dry. 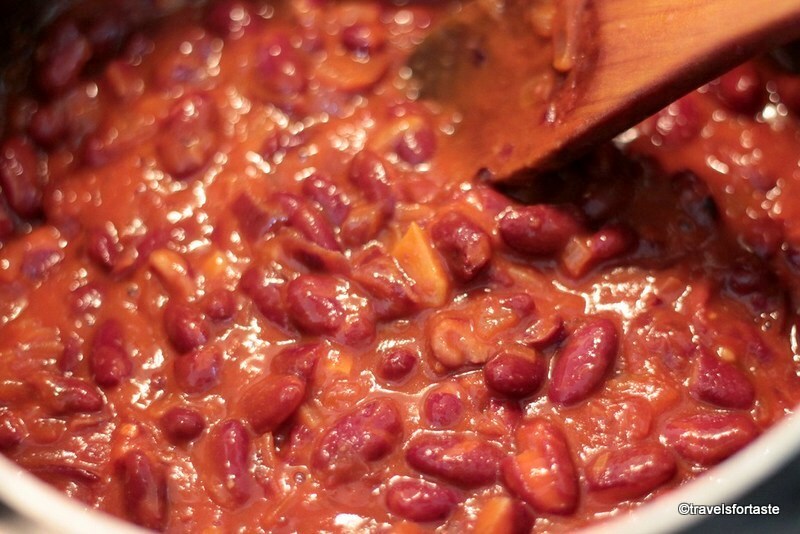 4.Since the canned and ready to eat red kidney beans are preserved in salty water, check the taste before adding in any more salt, chuck in some dry red chilli flakes for flavour and set aside. 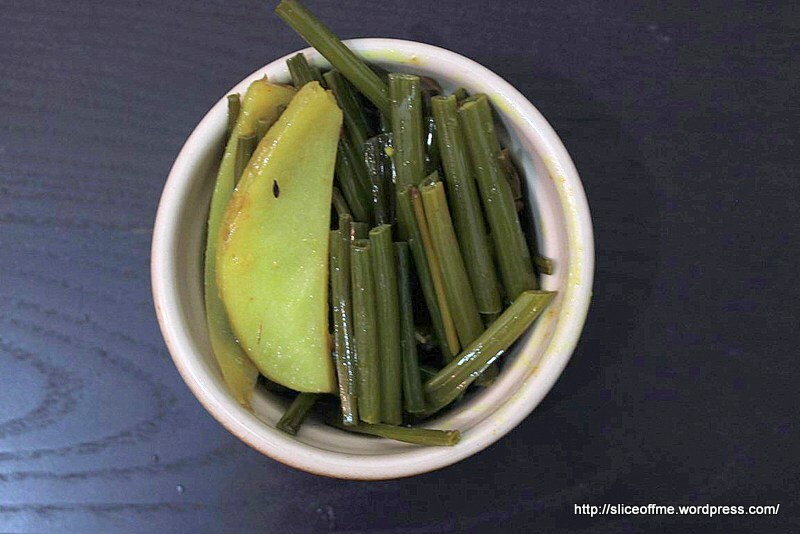 Peel and chop the plantain into large chunks and fry in hot oil in a kadhai or wok until they are a light brown. 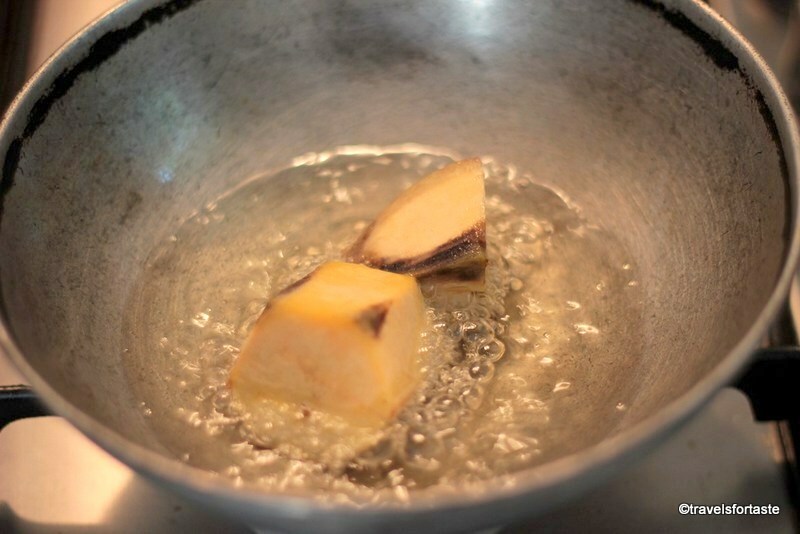 It’s easy for them to char so get them out as soon as the colour turns a golden shade of brown, allow to cool on a plate on a bit of kitchen roll to soak excess oil. Casado can be served with meat, fish or chicken. 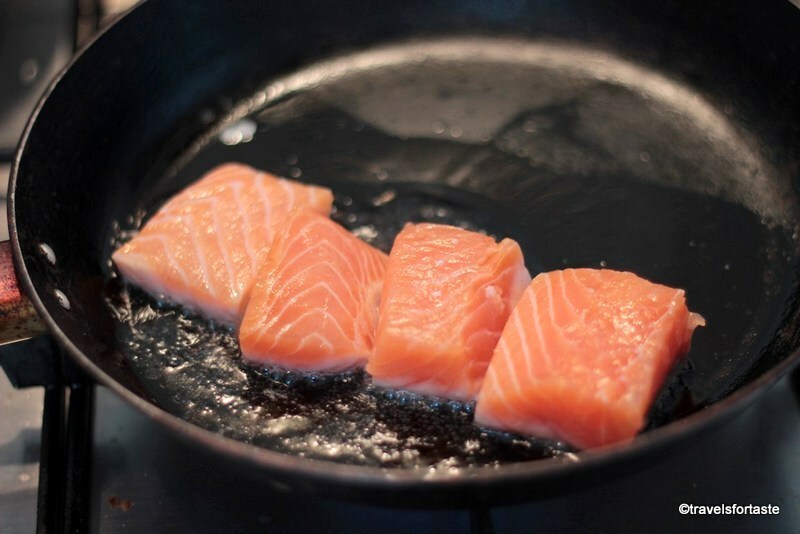 Chop one large fillet of fresh salmon and pan fry both sides till done in about 1 tbsp oil. 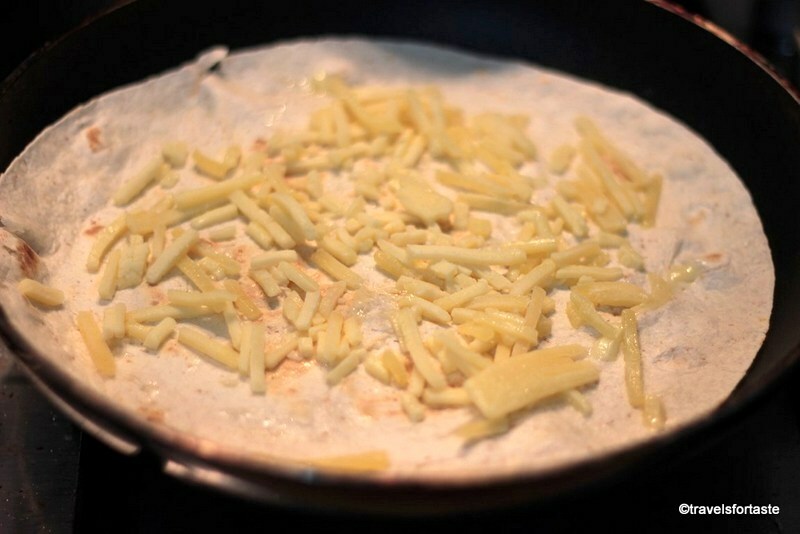 Heat a large flour tortilla –shop bought on a pan and adds a generous helping of grated parmesan cheese on tortilla. 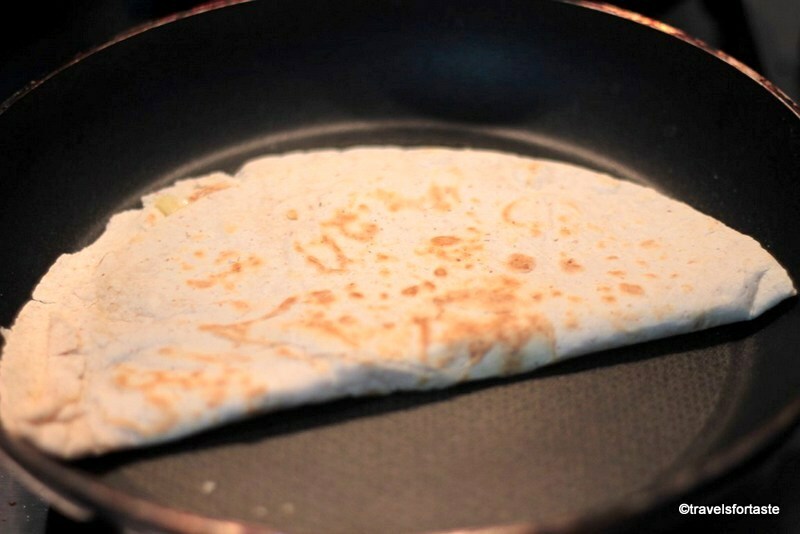 Just as the tortilla heats up and the cheese shows sign of melting fold the tortilla in half and flip over and toast each side till you have a crispy yum cheesy tortilla, slice into neat triangles ready to be served. Chop a fresh cabbage fine to get one large handful of cabbage, add half a red onion and a small handful of finely chopped cucumber, squeeze half a lime, sprinkle some cracked black pepper, a small amount of fresh finely chopped coriander and toss all these together. Easy-peasy right? 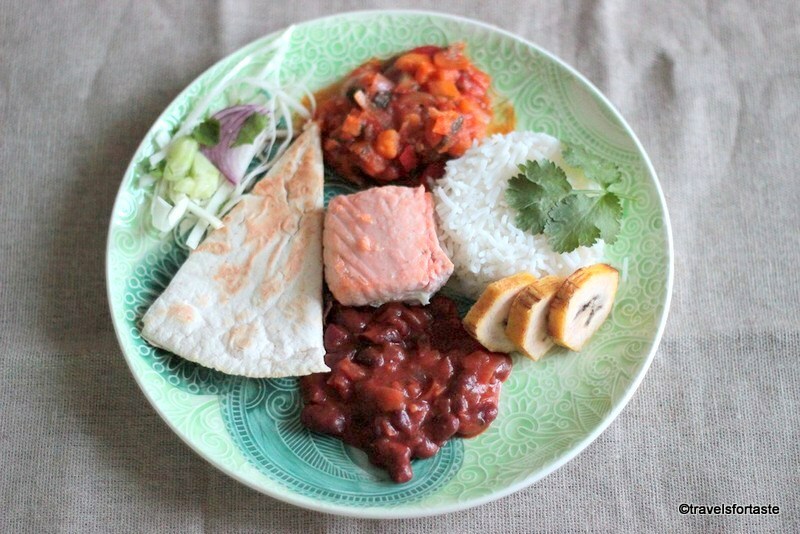 Serve the steaming hot rice with the salmon on the side, topped with some of the root vegetable gravy. 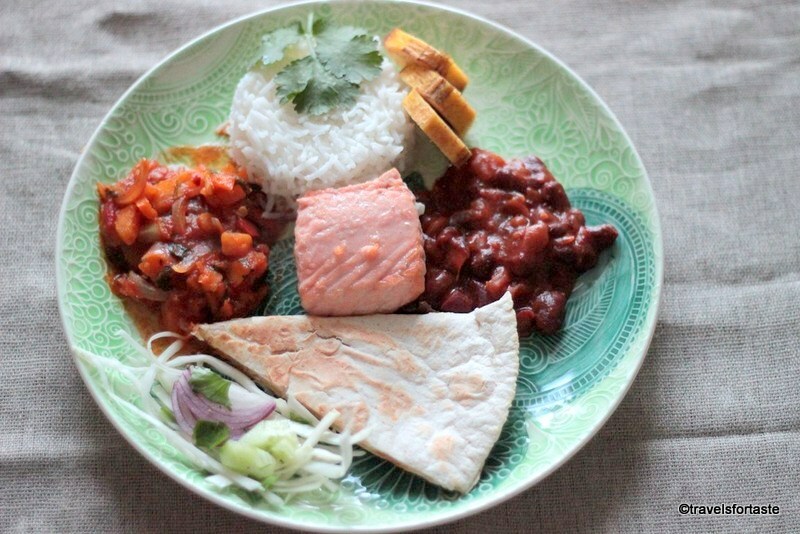 Mop up the beans with the cheesy tortilla and munch on the sweet fried plantain with generous bites of the tangy cabbage salad in between mouthfuls of everything else. 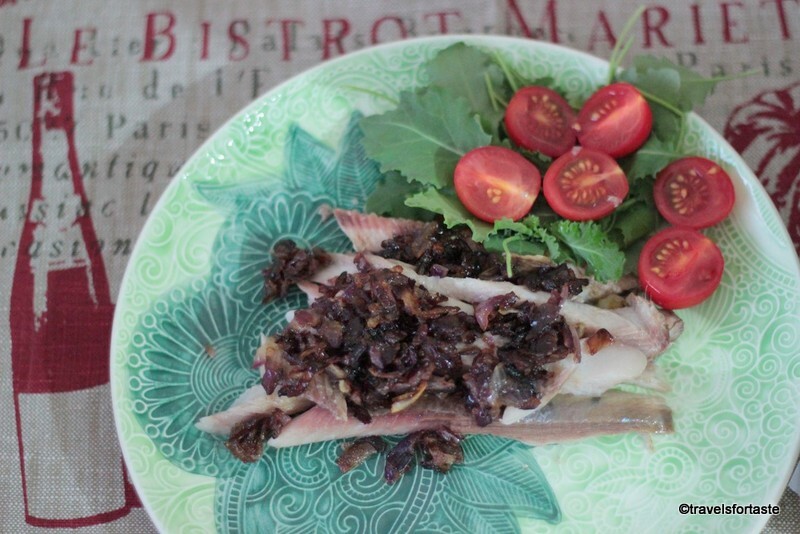 A delicious and healthy steamed fish recipe perfect for stay in #FishFriday night dinner or a lovely brunch on a lazy afternoon. The accompanying salad is colourful and full of fresh veggies that’s why I choose to call it a Rainbow Salad. Wash the fish and place on the foil. 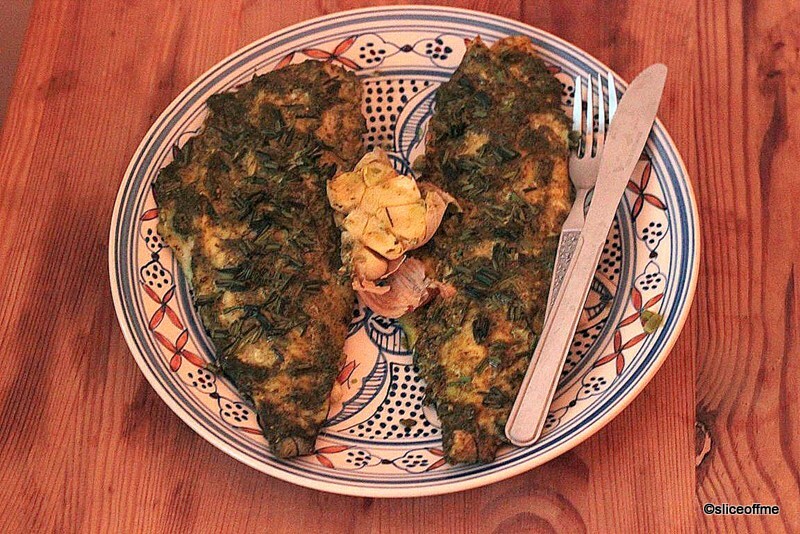 Stuff the lemon wedges inside the fish along with the Chives, rosemary and thyme. 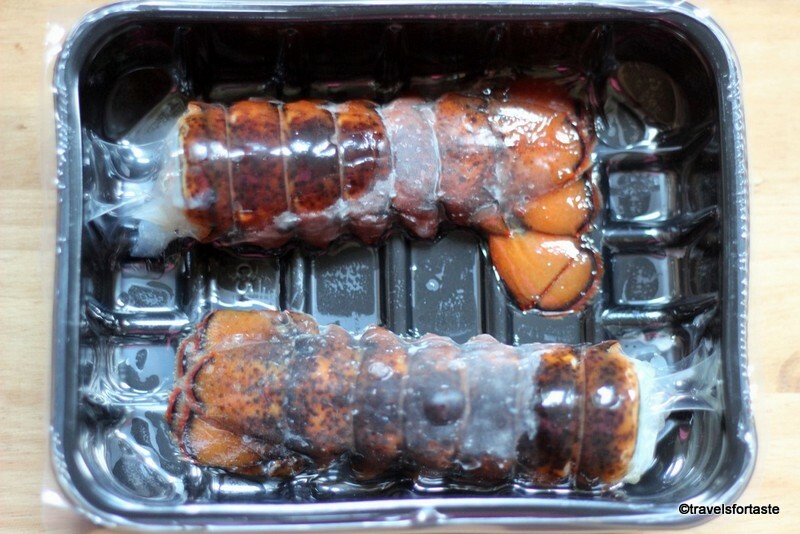 Wrap the fish in the foil parcel and cook in the oven until it has cooked through, should take about 20-25 minutes. Steam the veggies in a steamer. 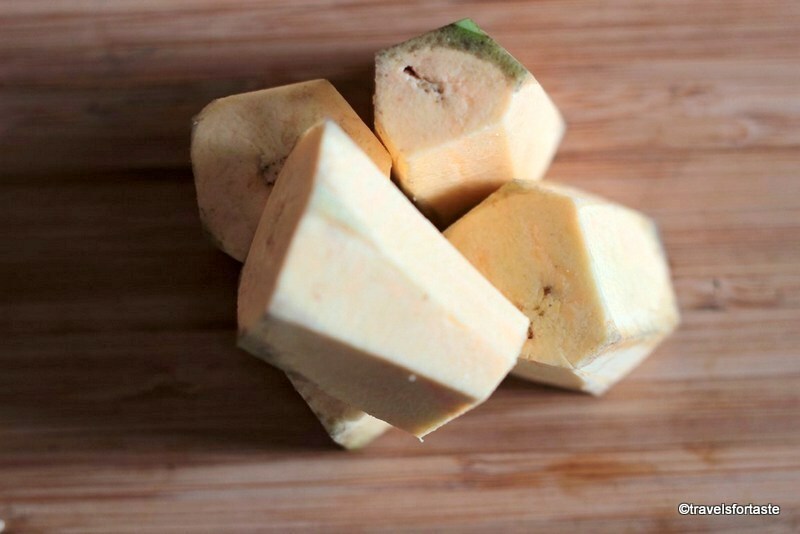 Chop all the vegetables into tiny bite sized cubes. 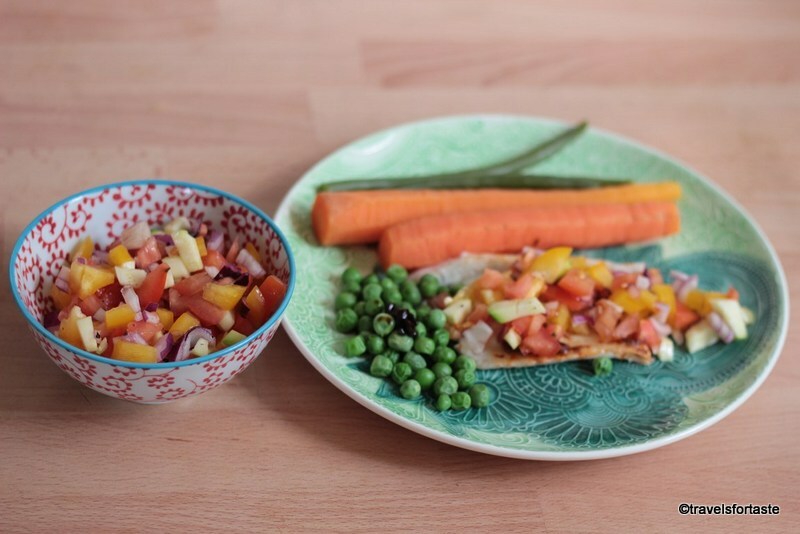 Place chopped veggies in a large bowl and drizzle olive oil and add the red wine vinegar. 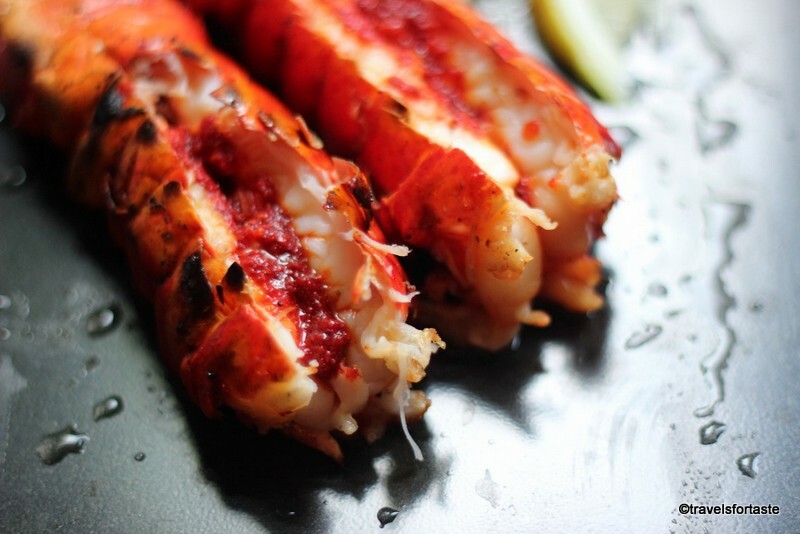 Season well with sea salt and add a generous sprinkle of freshly cracked black pepper. Plate a portion of the fish and serve the steamed carrots and peas on the side. Serve a generous helping of the crunchy veggies salad. After the masterclass with Master Chef Marco Pierre White, where he cooked us steak in Knorr Beef stock cube and served it with a creamy three peppercorn sauce – I was hooked onto the taste of the Knorr three peppercorn flavour pot. 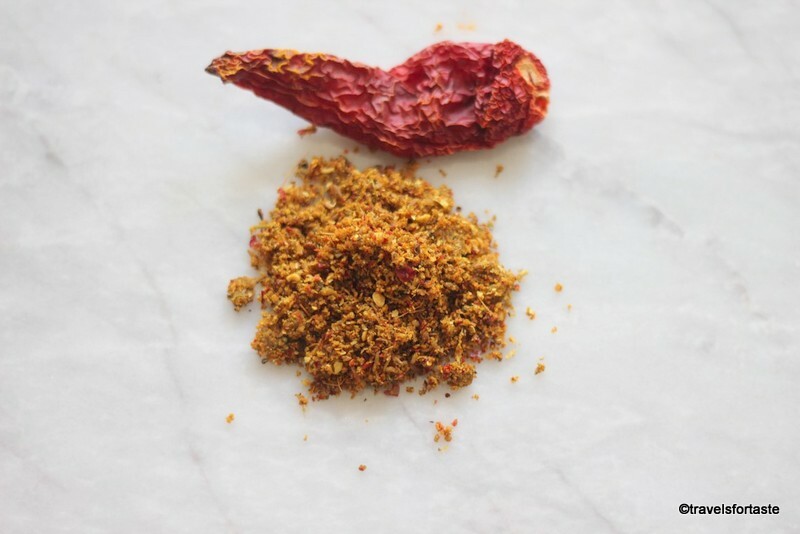 This mix of 3 peppercorns will add a depth of flavour to your dishes. Whether used in a straightforward steak sauce, or a luxury pork stroganoff, this little pot will instantly add a touch of indulgence to your meal. 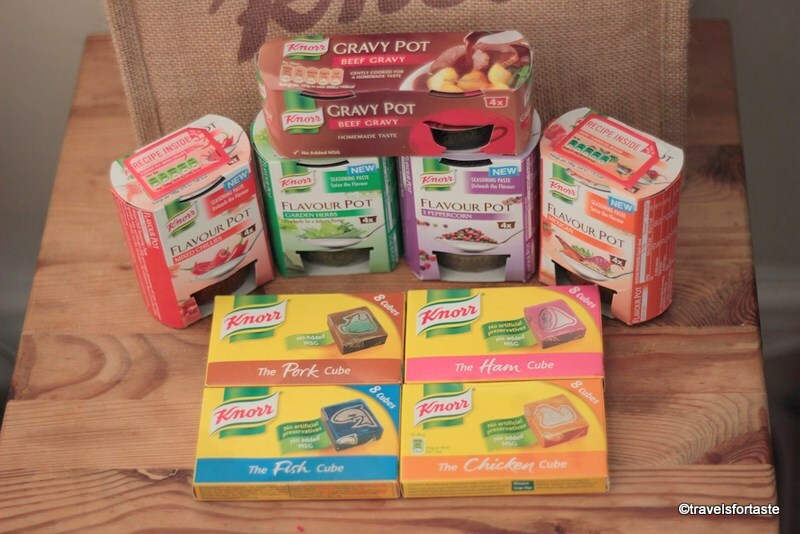 Unilever has agreed to Giveaway TWO lucky winners a chance to WIN one of TWO goody bags PACKED to the brim with Knorr flavour pots and stock cubes .These stock pots have been created by Chef Cameron Healy who is part of a dedicated professional chefs based at Knorr, who work together to develop KNorr’s culinary creations , with good food, convenience and innovation as the main thought process behind these products. 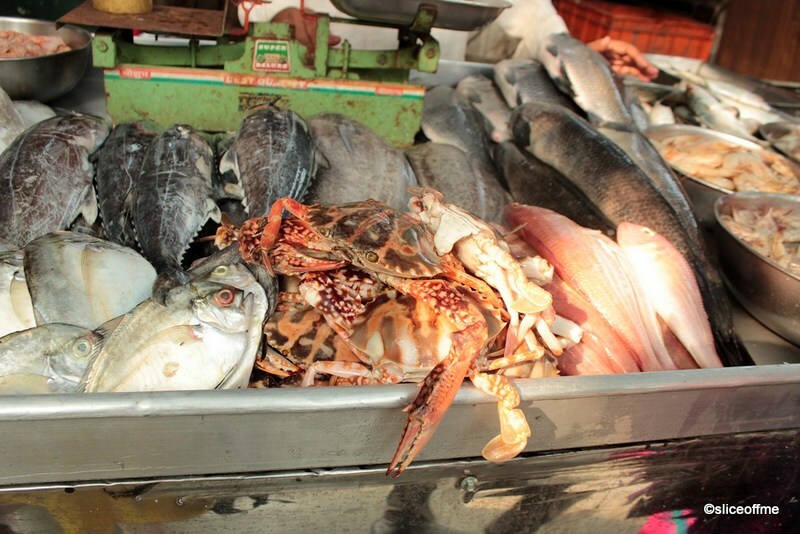 As you know by know I love seafood and I simply cannot resist buying fresh fish. 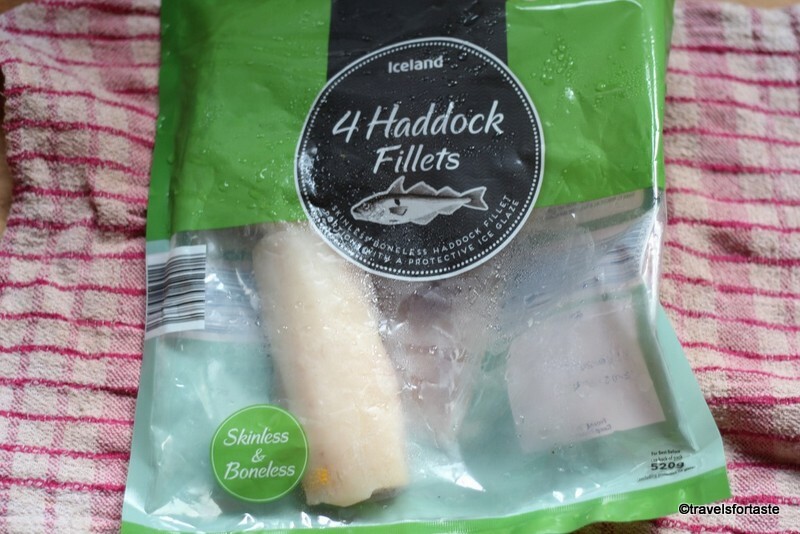 Last week on my way home from work I saw fresh herring at supermarket and just had to bring home some for dinner. I wanted a very light quick and easy fish dish which I could have with a heavy creamy soup so I rustled up this easy baked fish. Since we were already going to consume a creamy soup I wanted to avoid using single cream to make any gravy sauce. 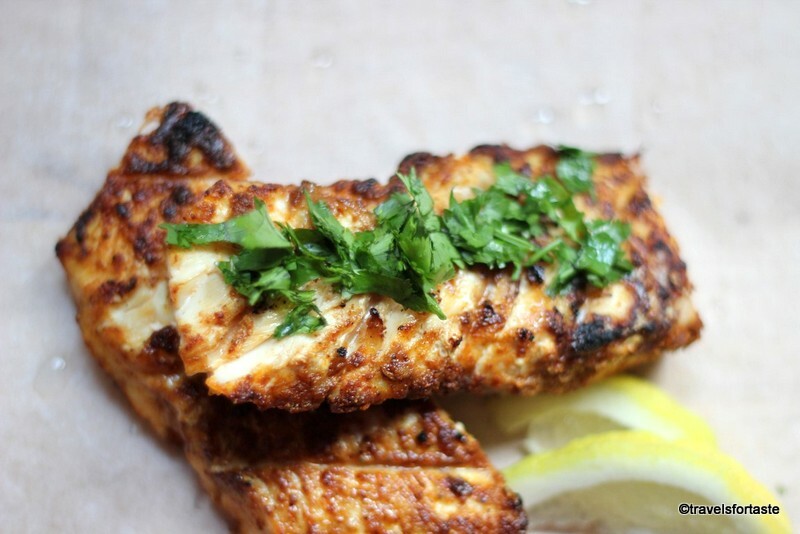 This baked fish recipe is a super quick and easy meal idea with very few ingredients and makes for a delicious meal. 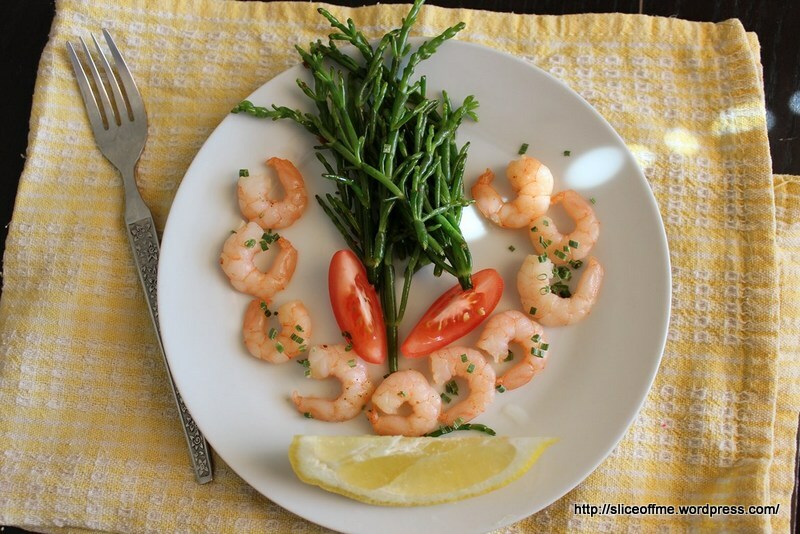 Served with a fresh leafy baby kale and cherry tomato salad it makes a refreshingly light choice. No oil is used in this dish and though the butter is 2 tbsp it is the only thing that you will add other than the flavour pot. 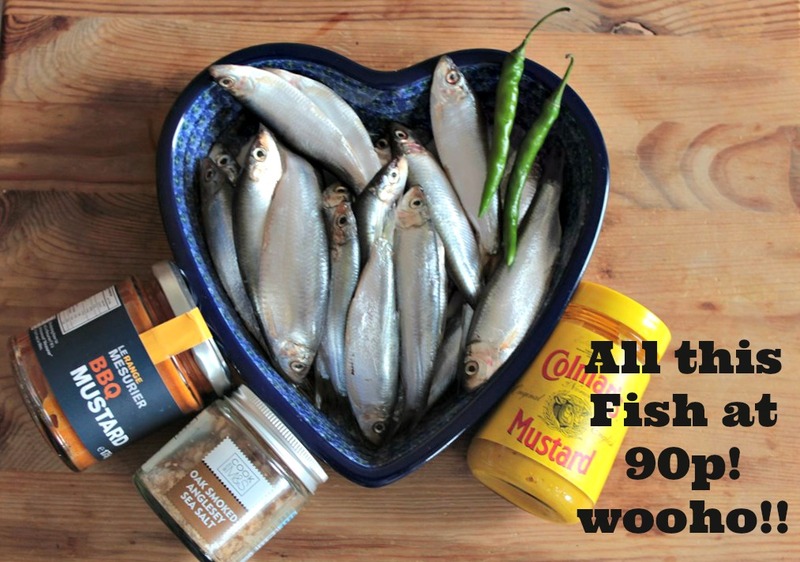 Besides Herring are very high in the long-chain Omega-3 fatty acids EPA and DHA, they are also a source of vitamin D.
A low – calorie meal for two ready in under 25 minutes – can it get any better? Think not! I have used the Knorr three peppercorn flavour pot that was in my goody bag which all loggers received at the end of a day packed with masterclasses spent at the Unilever headquarter in the U.K at Leatherhead. 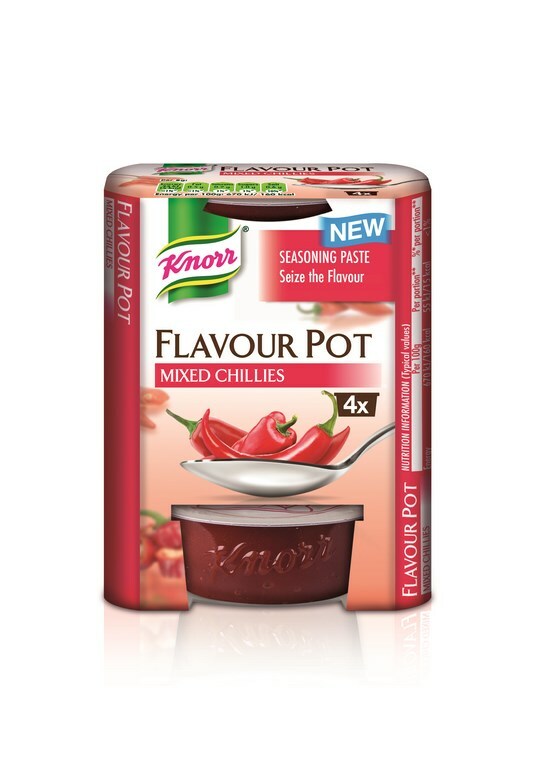 If you love cooking with the flavour of fresh herbs and spices, but prefer the convenience of dried , Knorr flavour pots allow you to create delicious meals infused with aromatic and fresh flavours in no time at all AND with the very same convenience that dried products offer. 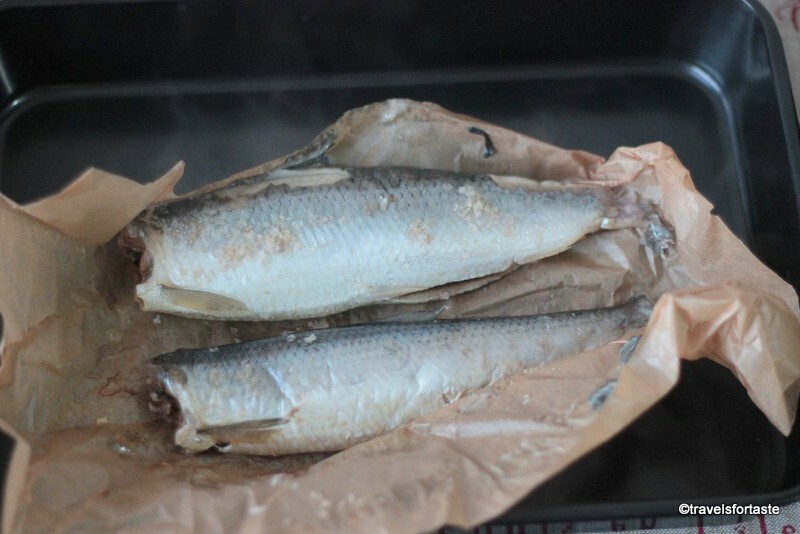 2 whole herrings fresh – with the head and tail removed. 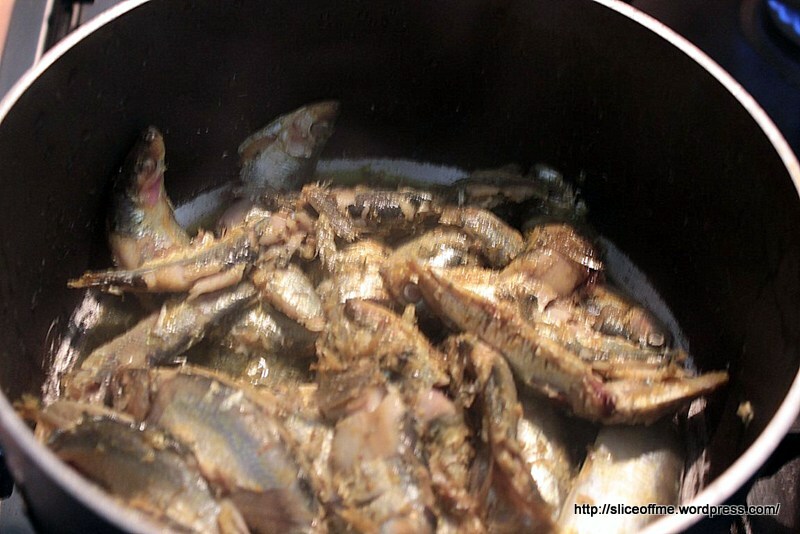 Wash the herring fish under running tap water. I asked the fishmonger to slit it through the middle and clean it from inside for me after removing the head and the tail. 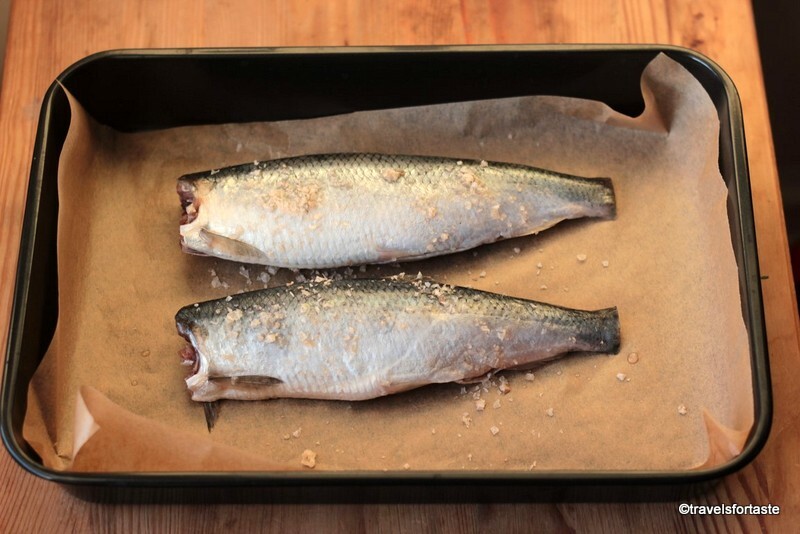 Place the fish on a baking parchment in a baking tray and sprinkle liberally with Maldon smoked sea salt. 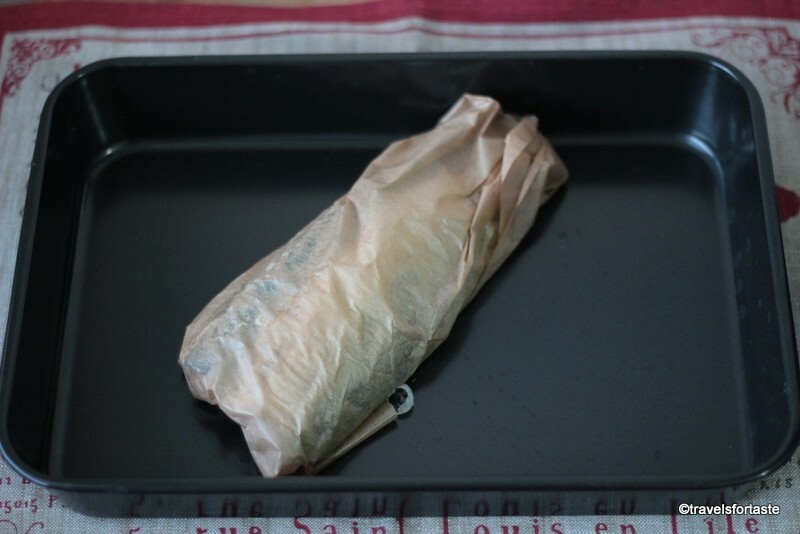 Wrap the parchment to make a neat parcel. 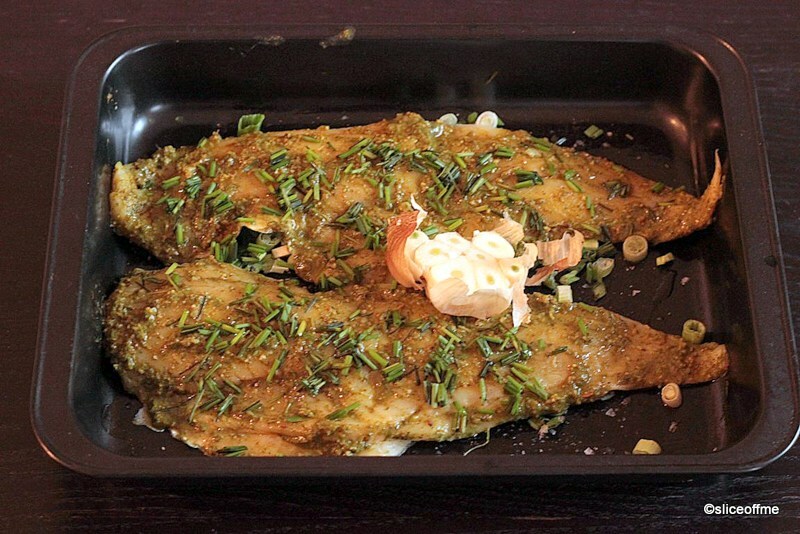 Bake the fish in the oven for 20 minutes at 180 °C. Meanwhile heat a heavy based pan on a medium heat. When the pan is at add 2 heaped tbsp of butter. Add in the bay leaf and then finely chopped onion and finely chopped garlic with skins. Then add in the Knorr three peppercorn flavour pots and cook until the onion has gone soft. 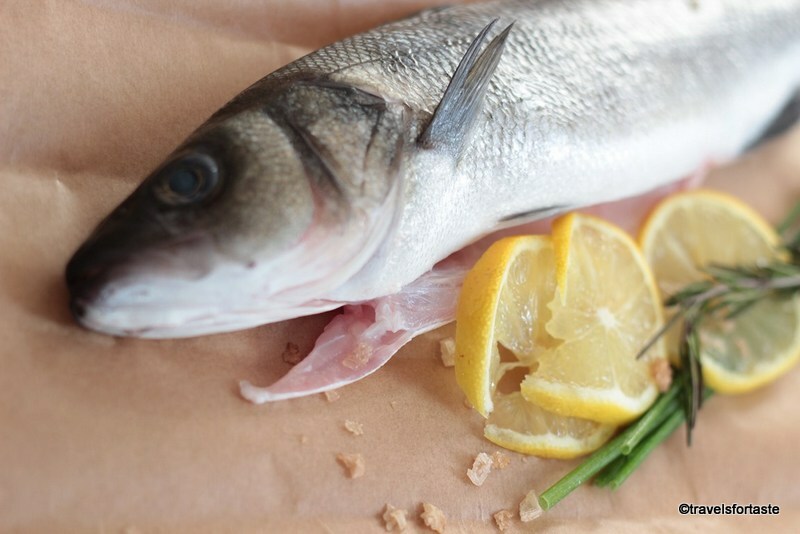 Once the fish has been baked , remove from the oven and allow for the steam to escape. 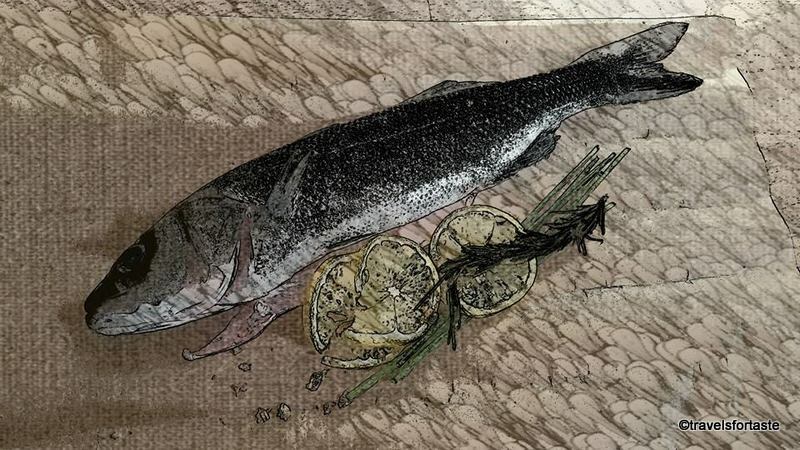 When you can hold the fish in your hand without scalding remove the skin which should come of pretty easily and remove the bone , it comes straight off which is great, one clean sweep. 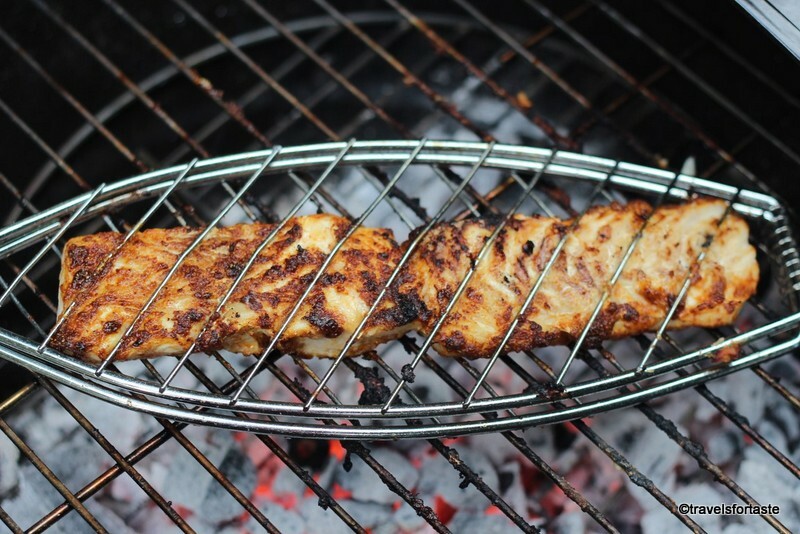 Don’t worry if the fish falls apart , it will still taste amazing! Plate each fish onto 2 plates. 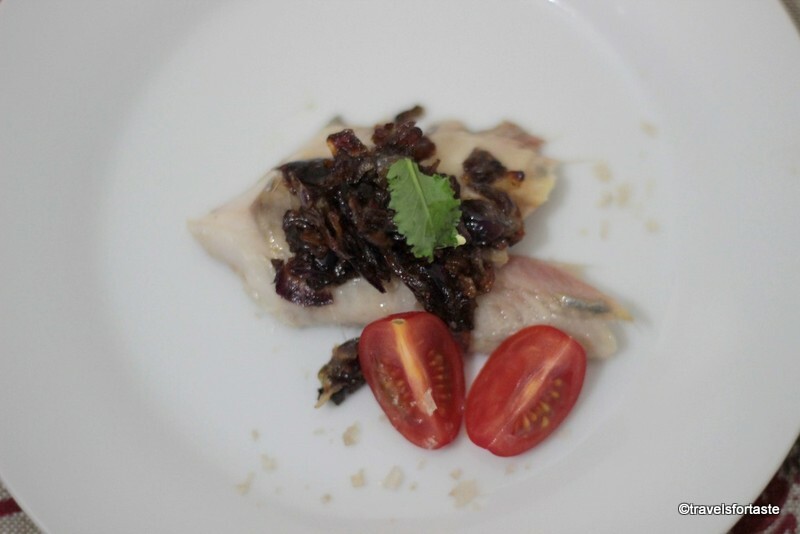 Place the onion onto the fish and serve with baby kale and chopped cherry tomatoes. 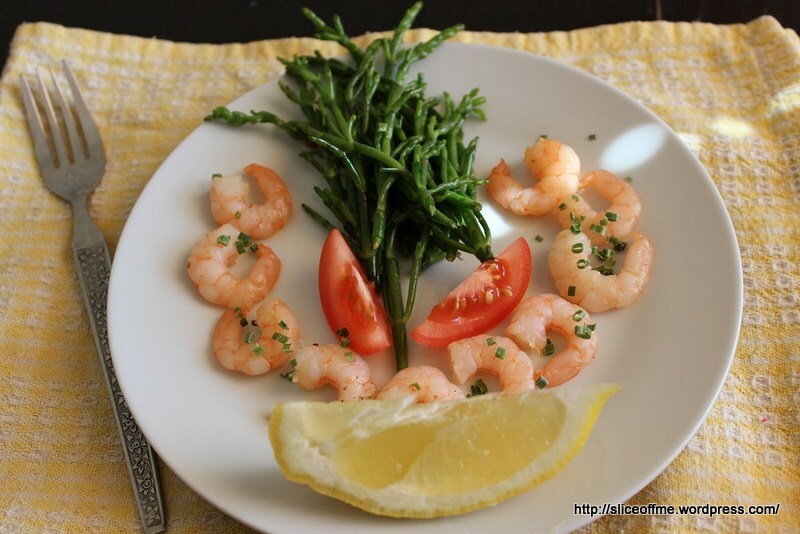 If you wish sprinkle some sea salt on the salad leaves. Like my Facebook page and leave your facebook name as part of you comment. 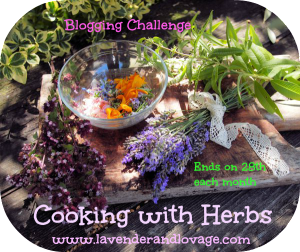 Leave a comment below telling me which is your favourite herb, your facebook name used to like my FB page, your instagram handle. I will find you on twitter via the hashtag so it’s not required for you to mention your twitter handle in the comments. Do not share your email id in the comments please. Winners will be picked using Random Number. Deadline for entering this contest is 15th January’ 2015 midnight GMT. Two lucky winners will be chosen using random number generator. The giveaway prize is as mentioned in the post. Neither Knorr or I am liable for any damage of hamper and / or contents in transit. Please allow a minimum of 15 days for delivery of the prize, which may reach earlier or later. The goody bags will be sent directly by Knorr. I retain the right to DISQUALIFY any entrant who do not complete all the 3 steps mentioned above. 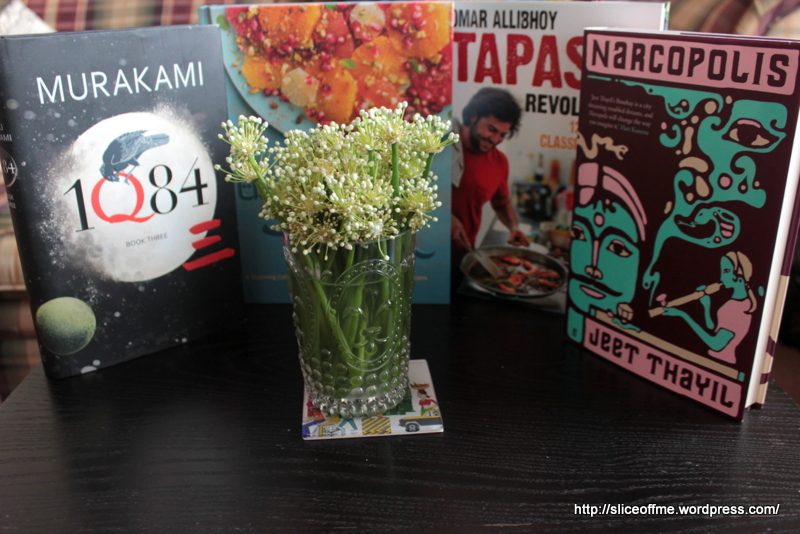 The winner will be notified on 16th January’ 2015 on Twitter by me and here on my blog post. I shall tag the 2 winners on Twitter via their twitter id’s . 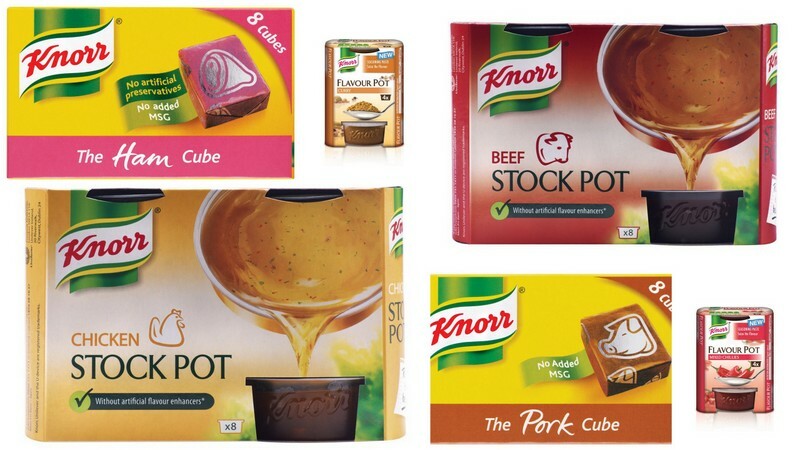 If you are declared as the winner you agree to allow me and Knorr to contact you via email id to arrange for the goody bag to be sent out to you. If the TWO winners fail to respond by 18th January’ 2015 then other winners will be chosen. 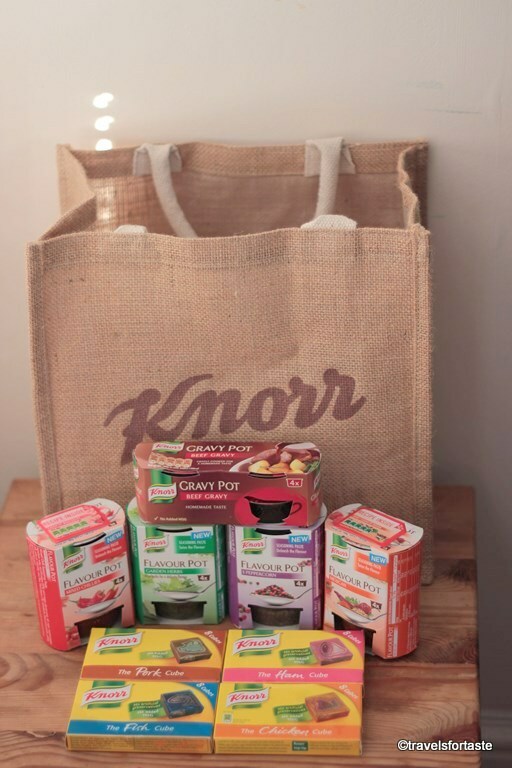 *With thanks to Unilever and the Knorr PR team for arranging the fabulous gifts for the two goody bags . No monetary compensation was offered for a positive review. As always all opinions expressed here are entirely my own. References Wiki. 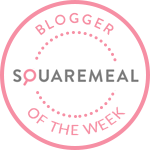 While you are here why not have a look at the other giveaways on my blog and increase your chances of winnings cool freebies!?! Win one beautiful Hotel Chocolat gift bag with fabulous cocoa cuisine products, to participate click here. CLOSED Win a box of Chef Inspirations Saveurs Du Monde Box of 16 chocolates from Godiva, to participate click here– CLOSED. CLOSED Win 5 delicious sauces from the WORLDFOODS Asian Fusion Flavour Sauces, to participate click here – CLOSED. Leaving your home country and more importantly leaving behind your near and dear ones is never easy. I sorely miss a lot of things about my life back home and one of the things I miss most is lazy Sunday afternoons at my parents place. As any typical teenager if you do move out from home during college years you would be better off dealing with moving out your parents after you get married but I never lived away from my parents and it was only after I was married that hubster and me moved into our own place, which happened to be very close to my mum’s !So most Sunday afternoons we would make our way to mum’s and Baba would be helping aai cook our favourite Sunday meal of chicken curry and rice, or sometimes when he was in a mood for seafood he would go Supekar’s fish market and queue up for fresh surmai (Marathi Surmai /???? 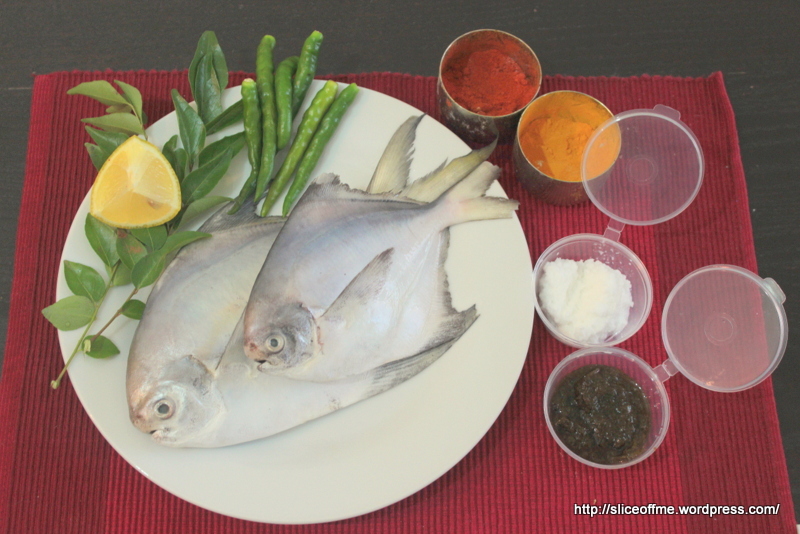 ?, Indo-Pacific king mackerel or popularly spotted seer fish-Scomberomorus guttatus),pomfret and my fav fresh prawns ummm! 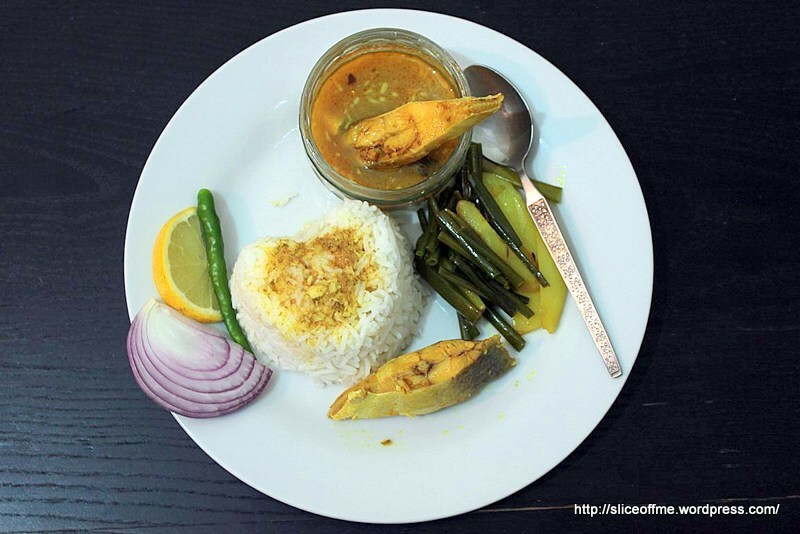 This recipe for Surmai/Kingfish /Mackerel curry is his favourite and I love how aai (means mother in Marathi my mother tongue)makes it so very delicious using a traditional hand me down recipe typical to the CKP community (Chandraseniya Kayastha Prabhu (CKP), is an ethno-religious community of South Asia). We call it Surmaiche Kalvan (????????? ??????) – Kalvan means curry in Marathi. 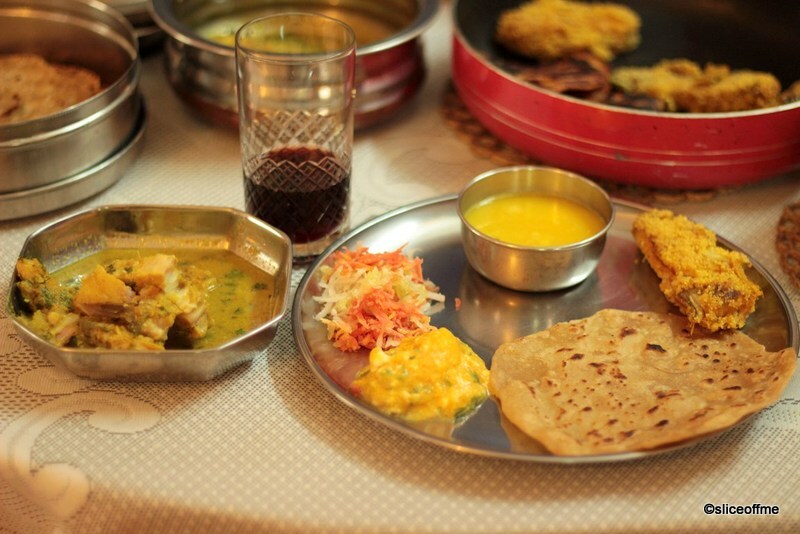 If we were in Pune today I would most certainly have surprised Baba by cooking up a feast for him and aai. Baba this post is for you and for aai thank you for being the most parents any one could ever ask for , the best childhood ever and for believing is us ,for being the strong presence every girl wants her father to be. I love you more than words can say Baba and I miss you heaps and tons! Fresh coriander a tiny palmful washed and finely chopped for garnishing. 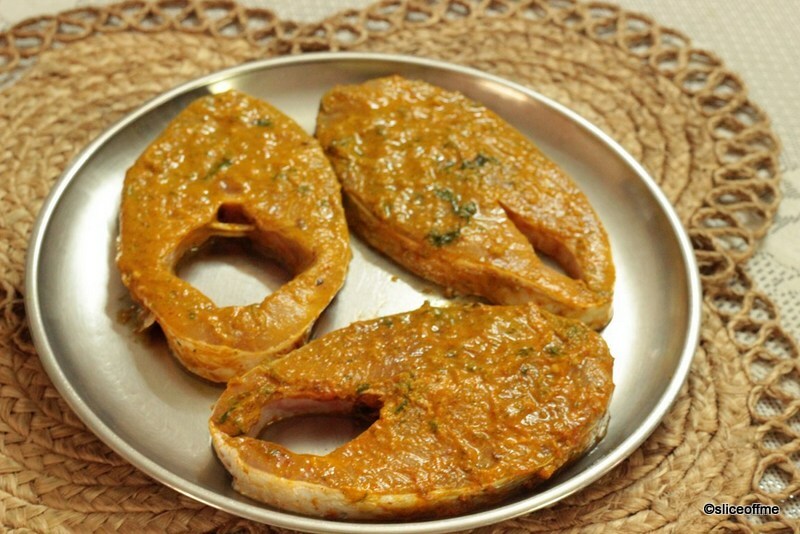 Wash the Surmai/Kingfish /Mackerel steaks and marinate the with red chilli powder, turmeric, salt, ginger- garlic paste, coriander – green chilli paste and set aside for at least 40 minutes. Heat oil in a saucepan, add a pinch of asafoetida and then add the crushed garlic cloves with their skins on and as they start to brown. Add the finely grated fresh coconut, stir in enough water to ensure that the curry is the right consistency, not too thick and cook on a low flame with lid for about under 5 minutes. 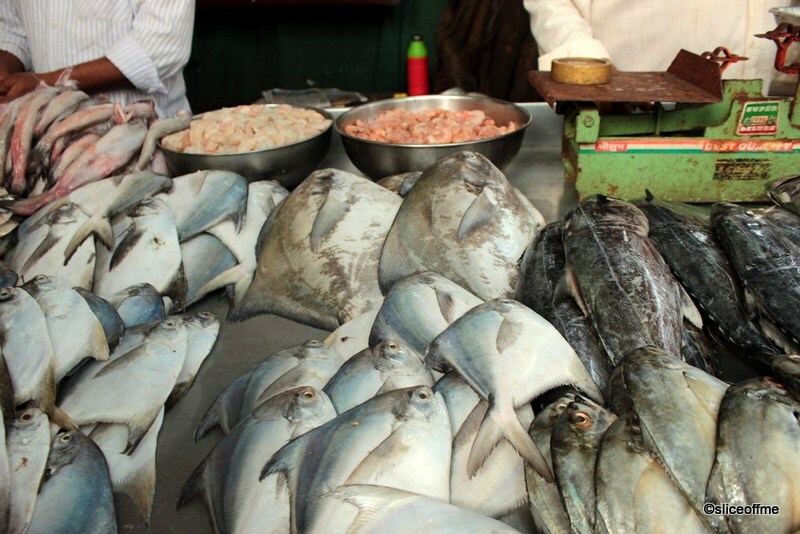 Fresh fish cooks very quickly, take care not to overdo it. Now add salt as required bearing in mind that when the fish was marinated salt was used. Squeeze the lime juice into the curry. 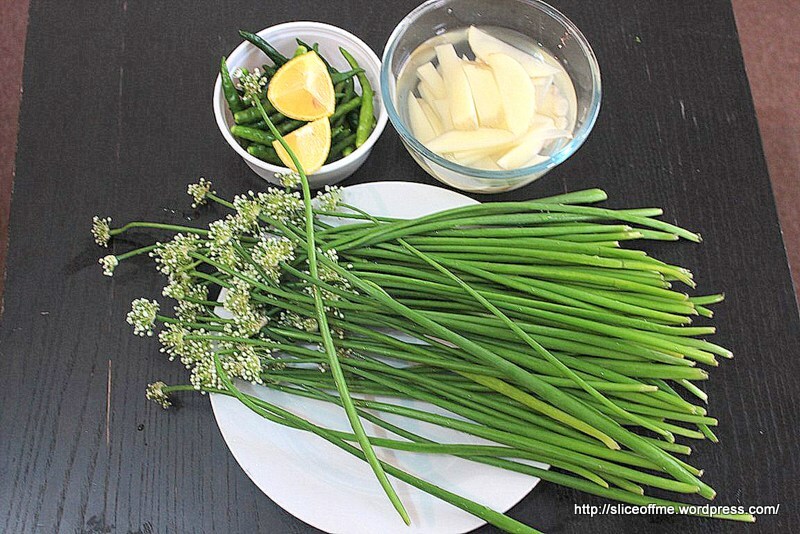 Garnish with finely chopped fresh coriander/cilantro. 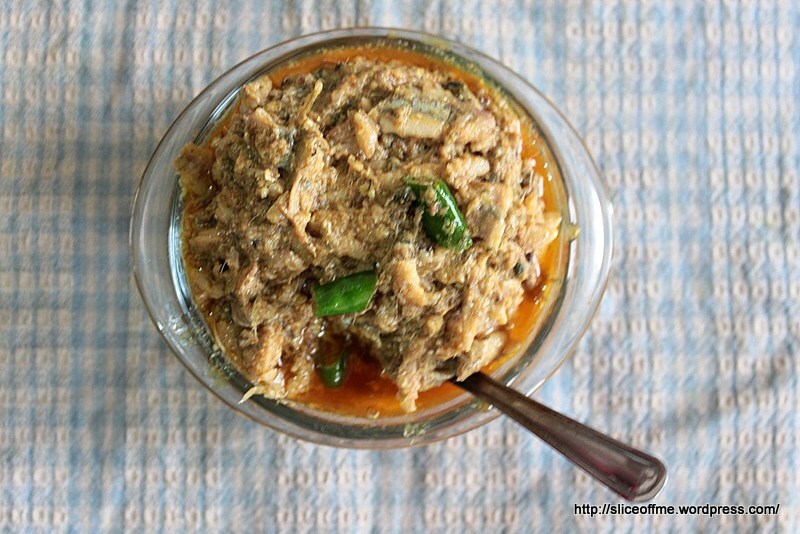 Serve with steaming hot rice and allow yourself to enjoy this simple yet classic fish curry. 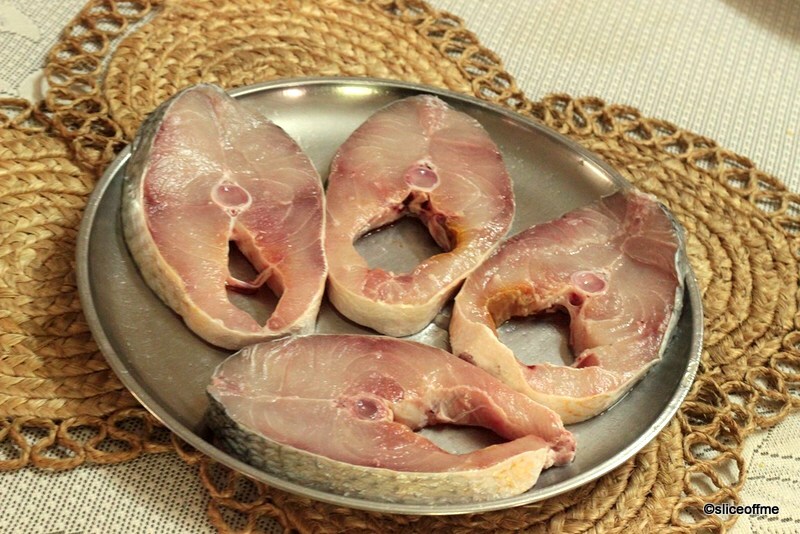 If you are looking for fresh Kingfish in London the best place to find it is at supermarkets like H-Mart. The Kingfish that you will get here is from the North Atlantic waters. 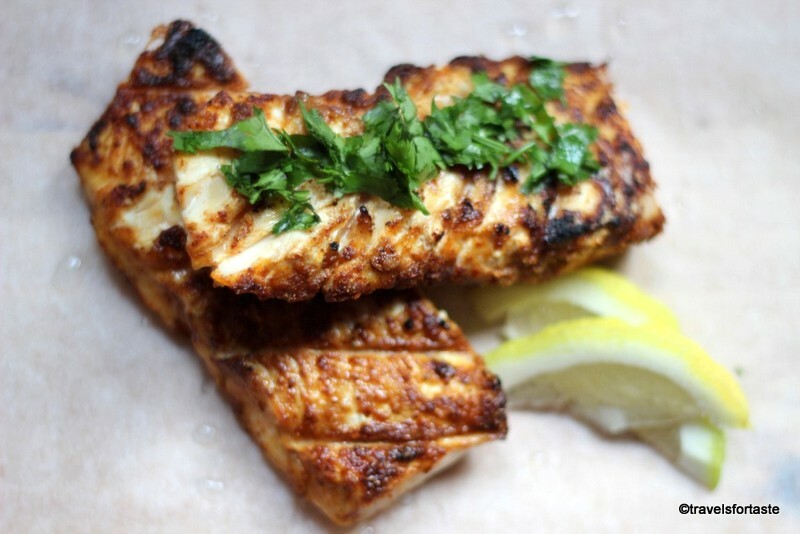 You can also buy Wahoo steaks from Wing Yip but the taste is not as pronounced and the flesh is not as tender, besides wahoo steaks are bigger and need more seasoning and should be consumed on the same day to enjoy flavours which are at their best in a freshly made fish curry. I’d say they taste better in a curry than fried and if you do fry them do add a large squeeze of lime after you have fired them. 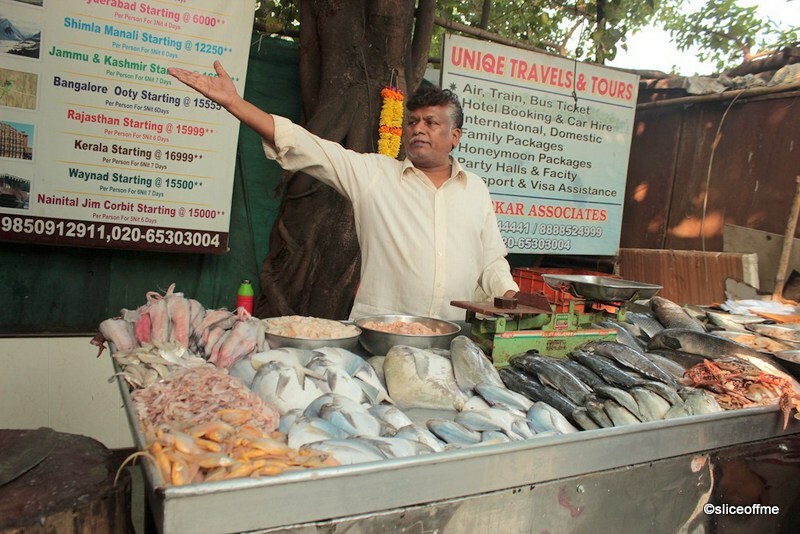 Since the Kingfish belongs to the Mackerel family, the mackerel will take all these marinade flavours beautifully and works well both fried and in a curry Konkani style. 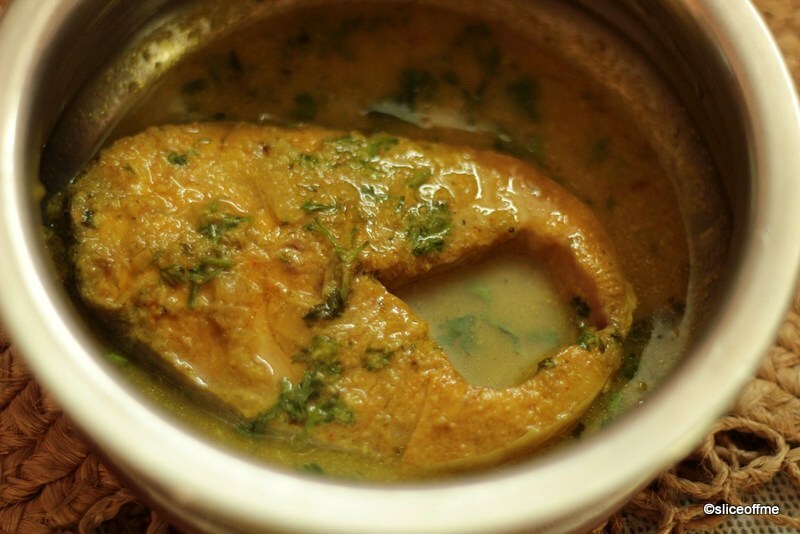 My traditional CKP surmai kalvan/curry recipe works well with pomfret too.